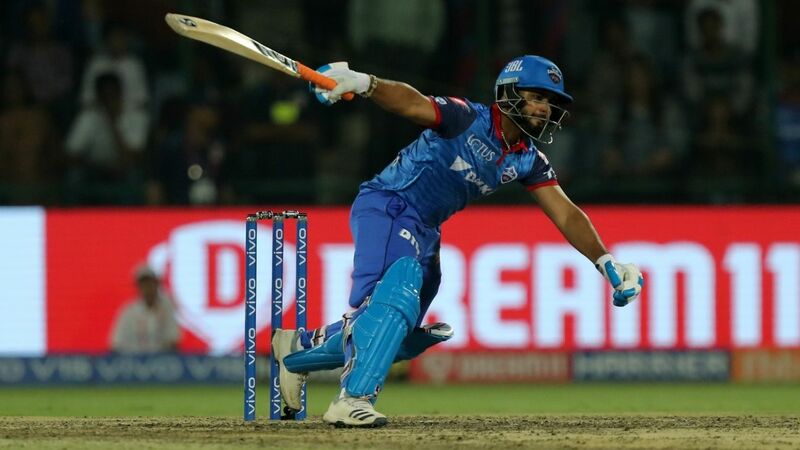 While is mightily impressed by 's skills as a white-ball player, the Delhi Capitals coach believes his impatience can lead to his downfall. Speaking ahead of Capitals' return fixture against Kolkata Knight Riders at Eden Gardens, Ponting was in praise of his three young top-order batsmen - Pant, and the captain - but said each of them had areas to work on, Pant in particular. Even so, he said he wouldn't try to curb his natural style too much. "With Rishabh in white-ball cricket, the issue is that he's such a competitor that sometimes that gets the better of him," Ponting said. "He wants to get things done quickly in the white-ball game. In the Tests he doesn't so much because there's not as much scoring pressure in Tests. "But I'm not going to curb the way he plays, I'm not gonna tell him to slow down because if he plays his best he will win games for us. I want him to go out with pure freedom and with no other thought other than hitting the ball for a six. We saw . - when it comes off, we're going to win. He made 77 facing just 28 balls. But he needs to understand we need him to bat in the last four overs. We need our best batsmen to stay till the last four overs, and we expect that from him." Ponting also expected Shaw to end up as one of the top run-getters in the tournament if he continued his current form. Shaw's most notable performance this season so far is his 99 in Delhi, but Ponting also highlighted his 22-ball 28 in what eventually proved a tricky chase . "Prithvi Shaw, I've seen him develop as a player," Ponting said. "We took a punt on him as a young guy who hadn't played any T20 cricket. And from the moment I saw him, I knew he was ready to play. "He showed that last year and has shown glimpses this season too. I was absolutely heartbroken for him when he was out for 99, he deserved to get a hundred. He's got us off to some good starts. He single-handedly helped us win against Bangalore, with some aggressive batting in the Powerplay, although Shreyas played well. He'll be one of the leading run-scorers if he plays like this by the end of the season." This time last year, Iyer was shoved into the limelight when he took over the captaincy following Gautam Gambhir's resignation. Ponting said he had big expectations from him as both batsman and captain. Despite the Capitals dugout including strong personalities such as himself and the advisor Sourav Ganguly, Ponting said Iyer was the team's primary leader. "It's 100 per cent Shreyas Iyer's team," Ponting said. "It's not my team, it's not the coach's team, it's Shreyas Iyer's team. He's the captain, and with captains of any team, once the game starts the captain is the coach. He's a terrific young man, determined, very good player. He's developing his leadership well. Halfway through last year, then he's captained for Mumbai [in domestic cricket], and finally India A. It's a high-pressure environment, the IPL, and I love working with him." Capitals have tended to suffer collapses late in their chases this season. They slid to a scarcely believable defeat and nearly did the same against Royal Challengers too, but Ponting wasn't too worried. "We can look at it in two ways," Ponting said. "I was worried about the Kings XI run chase. We should've won that with an over to spare, but what didn't worry me about the RCB game was that the boys were taking the opposition on. They were being ultra-aggressive, maybe recklessly. "But I don't mind that, we need that mindset to win big games, but you must ensure you get across the line. We had the game won when the collapse happened in Bangalore. Collapses will happen if your best batsmen aren't there at the end, which our batting group is now aware of."